As a dog owner, you should already understand how pesky fleas can be. They’ll drive your dog up the wall and they may even turn their sights to you. If you want to prevent this from happening, you need to equip your dog with the very best dog flea collar that money can buy. Unfortunately, not all collars work as intended. So, how can you find those dog flea collars that work and prove to be worth the investment? 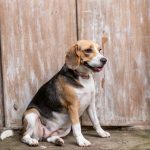 Within this comprehensive guide, you will learn all about flea collars and you will find comprehensive dog flea collar reviews. Use this information to guide you in the right direction. 1.2 Are They Really Effective? 1.3 What To Look For When Choosing A Flea Collar? 1.4 Are Flea Collars Toxic To Dogs Or People? 1.5 What Are The Contraindications? 1.6 Can Dogs Swim And Bathe While Wearing This Type Of Collar? For the consumer, an anti flea collar will be very simple. Nevertheless, the technology behind these products is far more complex than you might imagine. There are basically two types of flea collars and they work differently. The first type is designed to only repel the pests. In general, these collars will put out a medication that makes the dog unsavory for the pest. In return, this would ideally send the flea rushing off in the other direction. Other collars are capable of treating fleas. With these flea products for dogs, a medication is released from the collar. The medication is then spread after combining with the natural oils on the dog’s skin. With repelling collars, the dog will actually need to be bitten, before the pest will die. With the other type of collars, the active ingredients will actually kill the pest on contact. Over the years, the flea and tick collar for dogs has lost some of its popularity. More and more consumers are making the switch to spot-on treatment and even oral flea medications. Some consumers mistakenly believe that these collars may not be an effective dog flea treatment. This couldn’t be further from the truth. 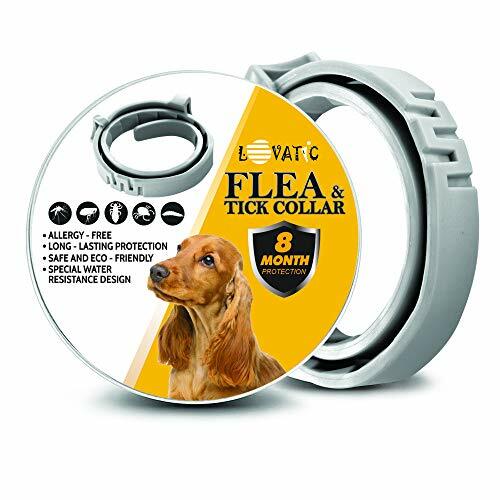 In reality, the best flea and tick collar will still work exceptionally well. These products may be slightly less convenient than the alternatives, but they can deliver longer lasting results. As long as you choose the right collar, you can rest assured knowing that you’ll get the desired results. What To Look For When Choosing A Flea Collar? The market is truly overflowing with flea collars. This can make the decision much more difficult than you might initially believe. Nevertheless, you’ll be able to slim down your choices very rapidly by carefully analyzing your options and taking a few specific characteristics into consideration. Below, you will learn about some of the most important factors to consider when choosing a flea collar. Water Resistance – First and foremost, you should always choose a collar that is resistant to water. Some dogs hate water, but others love it. They’ll run through the rain and they’ll jump right into the bathtub. To ensure that your collar is effective around the clock, it is pertinent to choose a collar that is resistant to water. You have to watch out for this collar as for all types of electric ones. What Toxic Ingredients Are Used? – It is also essential to carefully analyze the ingredients that are used. Almost all collars are going to use toxic ingredients to kill the pests. Just make sure that the ingredients are not harmful to your dog or humans. Also, be sure that the active ingredients are released slowly, so your furry friend will not experience any adverse side effects. Odorless – It is also pertinent to choose a collar that is not going to drive you nuts. This is why you should opt for an odorless collar. Do not choose one that emits a terrible odor or you’ll likely take it off and throw it in the garbage within a few days. Size – Sizing is also important. 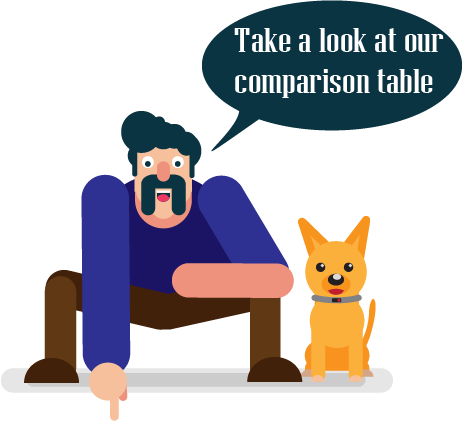 Dogs can vary significantly in weight and size. Therefore, you’ll always need to choose a size that is compatible with your pooch. Weigh the dog and measure his or her neck. Then, choose a collar accordingly. How Long It Protects – Another thing to take into consideration is how long the collar can actually protect your dog. Some collars have a lifespan of just one month. This is great, but you’ll likely grow annoyed with being forced to replace the collar so frequently. Other collars last 8 months. This is a good choice, since it is a better value and far more convenient for you. Nevertheless, you should choose a duration that is right for you. Are Flea Collars Toxic To Dogs Or People? The answer is usually no and yes. When looking for the best flea collar for dogs, you will find that many collars are made using the same ingredients. Propoxur, pyriproxyfen, amitraz and deltamethrin are some of the most common active ingredients in flea collars. Most of these ingredients are completely harmless to your dog and to other humans. However, you should make sure that your children stay away from Propoxur dog collars. This ingredient is actually very toxic to humans. TCVP or tetrachlorvinphos is another ingredient that you’ll want to avoid. TCVP is dangerous to pets and humans! As long as you choose a collar with safe ingredients, you can rest assured knowing that your dog and family will be completely safe and sound! The best dog flea collar will use ingredients that are safe for everyone, including your pet! In most cases, the best flea and tick prevention for dogs will be suitable for all canines. However, you will need to take some precautions, if you’re dealing with a unique situation. For instance, you should know that some flea collars are not suitable for pregnant, senior or nursing dogs. Speak with your vet before purchasing a flea treatment product for a dog in one of these states. Another thing to note is that dogs under the age of 3 months should never wear flea collars! In general, if your dog has any illness, it might be wise to consult with your vet before investing in a flea collar. Can Dogs Swim And Bathe While Wearing This Type Of Collar? The answer to this question really depends on the collar. Some collars are designed to resist water, but others are not. If you choose a collar that is water resistant, you can allow them to swim and bathe. The collar will maintain its effectiveness, despite being exposed to water. Suffice to say, the best dog flea collar will be totally water resistant! 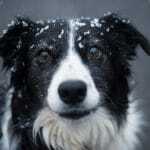 With winter quickly coming to an end, it won’t be long before your pet is back to tearing up and roaming all over the yard again. Of course, this can be a good thing, but the warmer weather also means that the insects are going to be coming back out as well. Unfortunately, ticks and fleas are not your dog’s best friend and they can pose serious health risks. This is why it is imperative to ensure that your four-legged pal is safe and healthy at all times. How do you go about doing this? Well, the Canes Trade Flea Collar is definitely one viable solution that you cannot ignore. Not only is the Canes Trade Flea Collar extremely affordable for the average pet owner, but it is even easier to use with the one-size-fits-all design. So, it doesn’t matter if you have a pocket poodle or a Great Dane, this collar will be suitable for any breed. All you have to do it wrap the collar around your dog’s neck, lock it in place, and cut off the excess part of the collar. The excess can be placed in your dog’s house or under his or her mat for extra protection. Thanks to the technology and innovative design of this collar, it is capable of providing your dog with an extended protection period. For instance, this collar can protect your dog for up to 8 months. It is the composition of the collar that provides your pet with the extended protection he or she will need for the upcoming months. 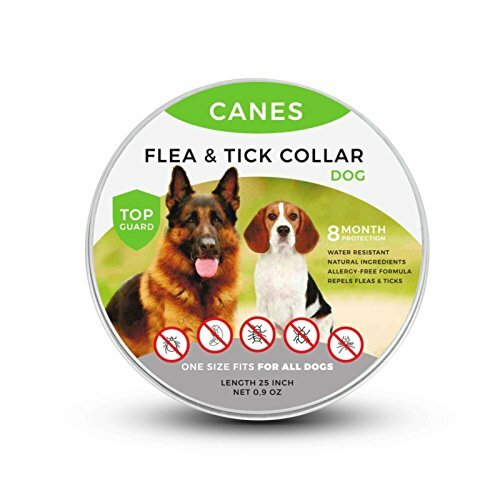 If you want to ensure that your dog is safe from ticks and fleas during these long summer months, you need to consider investing in the Canes Trade Flea Collar. This collar is convenient, effective and great for dogs of all sizes. If you are on the market for a high-quality, reliable flea collar for your fury friend, be sure to consider the Rolf Club 3D. This collar combines state-of-the-art technology and nontoxic pesticides to prevent tick and flea infestations. The design provides comfortable wear for up to six months, as well as tick and flea protection. 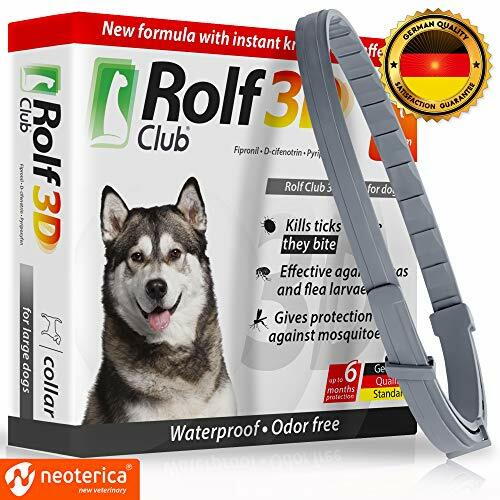 So, when you purchase the Rolf Club 3D Flea Collar, you are ensured of getting your money’s worth from the investment. 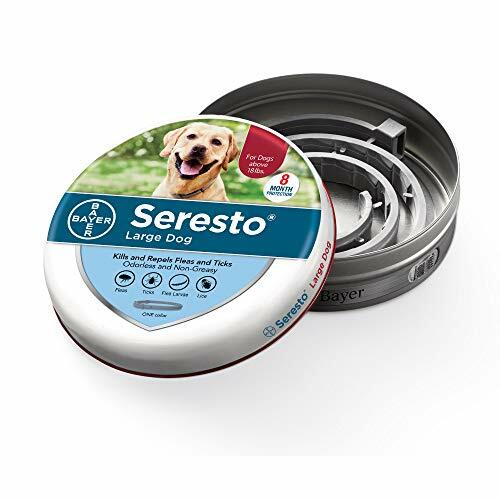 Unlike other dog flea and tick products the Rolf Club 3D kills ticks and fleas on contact, before they have a chance to bite. This means your dog will not experience any painful bites for up to six months. The active ingredients work together to ensure your dog is fully protected for both painful bites and parasitic insect infestations. The active ingredients utilized in the Rolf Club 3D Flea Collar provide protection against parasitic insects and other insects. It protects against ticks, mosquitos, fleas and flea larvae. It is suitable for small, medium and large breeds. Protection begins within the first 24 to 48 hours after the collar is applied. It will continue to work for up to six months. The Rolf Club 3D Flea Collar is integrated with a new formula from Germany. The new blend of ingredients is capable of providing head to paw protection. This high level of protection makes this one of the best flea and tick collars on the market. 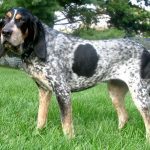 Some breeds are highly known for their roughness. With this said, the Rolf Club 3D Collar is designed to endure normal wear and tear. However, to ensure the integrity of the collar, you should remove it before giving your dog a bath. Yes, the collar is protected with water repellant, but it is not recommended to submerse it completely in water. The Rolf Club 3D Flea Collar is a great alternative to the expensive brands. The collar provides six months of flea and tick protection and comfort. It is suitable for all breeds, including poodles and Great Danes. Fleas and ticks not only annoy your dog with the constant biting and scratching, but they can pose serious health risks as well. 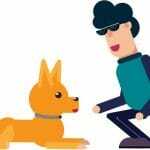 You probably feel like your dog is a member of the family and want to do everything in your power to protect him or her. Well, there is simply no better way to ensure protection than by investing in a flea and tick collar. However, with all the choices out there on the market choosing the most reliable and dependable collar can be quite the task. That was until you discovered the Scalibor Protector Band. 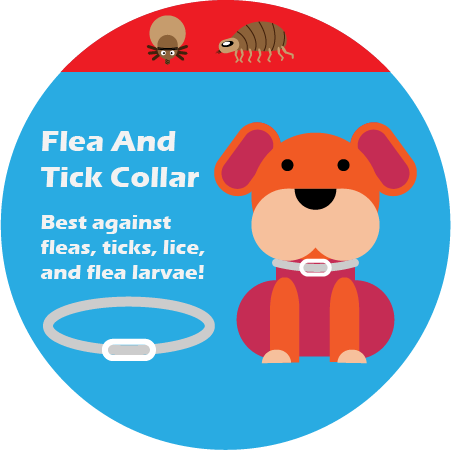 Most flea and tick collars only provide protection against fleas and ticks, which is a good thing. However, you have to realize that there are more threats out there than just fleas and ticks. 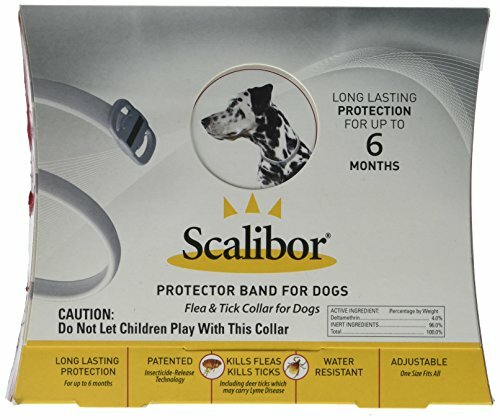 Mosquitos and even sand flies can pose serious health risks to your beloved pet, and that is why the manufacturers of the Scalibor Protector Band designed their product to offer additional protection. Not only does this collar protect against ticks and fleas, but it also protects against mosquitos and sand flies. If you have done any research on dog collars whatsoever, you probably already know that most of them only offer protection for four months. Some even only offer protection for one month or two. Fortunately, that is not entirely the case with the Scalibor Protector Band. This band was designed to provide long lasting protection for up to six months. The Intervet Scalibor Protector Band is a great solution for flea and tick problems. The collar provides immense comfort and protection for all breeds. You can make adjustments as needed, by snipping off the end. The active ingredient is low toxicity for humans, so you should not experience any adverse reactions when coming into contact with the collar.